1993 Pontiac Grand Am (V6 - 3.3) (300K miles) Hard time starting in cold (winter) weather. The colder it is the more it turns over before starting. At 10 degrees or below, takes over a minute of cranking to start. Sounds like it's trying, firing, but can't quite get there. Runs perfectly after it starts. #1 - do NOT crank engine or let starter run for more than say 15 seconds then let it cool down for a couple minutes or you'll add a new starter to you troubles! That's tons of miles but alone for this not the real issue so far. It might mean you or someone is using a heavy viscosity of oil (don't do that - still only suggested viscosity even if it used some) could be the trouble. Brand new battery. Fresh 10W30 oil. Hard starting in cold weather usually means insufficient fuel mixture. The first thing to check is the fuel pressure and make sure it is within specs at all times. The next thing will require the use of a scanner. Obviously, checking for stored codes should be first. If no codes are stored, check to see if both ECT temp and IAT temp reading match each other when checked before the car is run for the first time. A inaccurate temp sensor would give you the wrong fuel mixture. I'm still interested in cranking speed when cold. I'm near sure this calls for 5w-30 which would crank faster than 10w-30 alone. I question "new" batteries for a while. I'd like to see what voltage drop you can see best with a helper cranking engine and what volts drop to. Even 0-10F you shouldn't see it drop below ~9.5 volts or so as even strong spark would be weaker for a quick start. Other is let key set in plain "run" position for the time it takes for fuel pump to prime up to pressure and shut off if you can hear it that's what it should do. Then pressure is ready right away hopefully up to spec which could be checked also and again if voltage is low from starter sucking up most of the power the fuel pump isn't getting full volts/amps either. Engines hate cold as much as I do too and it's not battery friendly as available power drops off quite a bit just from temp. Do you really mean a whole minute of cranking? I mean use a watch or something. That's a LOOOONG time to crank an engine no matter what the issue. The fact that it runs fine once started really suggests this is consuming a lot of battery power and voltage a bit too low for proper start. I know, it's got a ton of miles and actually should turn easier all other things equal. This could just be oil now making it harder? If mine I'd switch (do on everything anyway) to synthetic - current fav is 0-30 rated to equal specs of either 5w-30 or 10w-30. First use noticed engines turned faster cool or when really cold out. Have a 12.5HP pull start motor and notice instantly how much less effort it became to pull as added proof. Back to volt drop: It's indicative of how much draw the starter (largest draw on battery in car) is sucking up. Volts will drop normally but at some # all other things don't like less just adding insult to the cold anyway and harder to start. It matters and think it would help to make the change. Hey - at the miles IMO you are playing in the zone of "anything can happen" and was long ago by miles. Some can do that and more some much less and fail? It's not an oil problem. 10W30 is the recommended viscosity for this vehicle. 5W30 is acceptable when 10W30 is not available, per service manual. Sorry for a second post in case you already read others. Fuel pressure must be maintained up while cranking. Spec shows 41-47 PSI. Battery measured in CCA = Cold cranking amps. Spec is at least 600 but for you suggest and only found 700 quickly. That's for 32F so it's less below that available. Interesting Hammer Time mentioned the temp sensors. Prior to changing the battery I had 2 codes. One was 15 - "Coolant Temperature Sensor (Low Temp Indicated)" and the other was 26 - "Quad Drive Fault". I don't know how long the codes where stored and they haven't since come back. Both temp sensors where replaced not long ago (both coolant sensors). What should I do? You should do as I already advised. Use a scan tool to compare temps between the coolant temp sensor and the Intake air temp sensor. They should match if the car has not been run. Not sure if I can do that. That make and model tends to give up very little scan info beyond codes. I did do an electrical system overhaul a few years ago. Used clamp type connectors when replacing wires. Tomorrow I plan on replacing all those connectors with soldered connections (including those connecting to the temp sensors). Perhaps that will do the trick. I'll let you know in a few days. Thanks. I don't know how electrical savy you are, but if you don't have a scan tool laying around that will work on that year, you can measure the voltages of the ECT and IAT sensors to see how they compare. It would be best to make your measurement at the ECM's connector if possible, but you can make them at the sensors also. Inspect the wiring really good on those sensors. I've seen many times the copper inside the wiring break near the sensors' connectors. If you lightly tug on the wires and the insulation stretches, it is a good bet the wiring is broken. That is wrong. They may not give you as much info as OBD2 because th3e computer doesn't even have that degree of monitoring but they have all the basics and temp sensors are basics. Interesting. I'll try that if fixing the connections doesn't work. Thanks. He probably doesn't have access to an enhanced scan tool that can plug into the ALDL. You're right. No scanner access. The guys I know that have scanners can't get them to do anything beyond codes on my car. I'll work on the connections, and go from there. They have enhanced scan tools that can access data information on those. The dealer had the TECH1/A and Tech 2. Some of the high dollar scanners have access too. You can get code readers that plug into the ALDL, but to be honest they are a waste of money because those ECM's have flash code diagnostics. Used this situation to replaced all 6 original fuel injectors with new OEM injectors. Have been collecting them from auction site at around $40. a piece. I'll see if this helps once we get more really cold weather (sub 20 degrees). The old style multecs, 1st design, were fairly prone to shorting out their coil windings. Usually when they shorted out the ECM would shut down or you would have a misfire. The resistance of them should be around 12 ohms. If they have varying resistances between injectors, it is a good bet your going to have troubles. The upgrade replacement was to install Bosch DRI injectors. The original ACDelco injectors lasted 300,000 miles without so much as 1 problem. That's a great track record so I replaced them with the same. Really don't think injectors will cause an ECT code to show up though. As it stands now, the codes were a one time thing. Perhaps an aberration. Malfunctioning and/or dirty injectors could be the cause. Started fine this morning at 33º, which means nothing here. Time will tell, once the cold weather hits again. The forcast is for a couple sub 10º nights over the next 10 days. Will continue to update. The problem of delayed start in cold weather improved a little with the new injectors, however, it still exists. I continue to believe Hammertime's air/fuel mixture suggestion is correct. I need to know every component that is involved in this process. 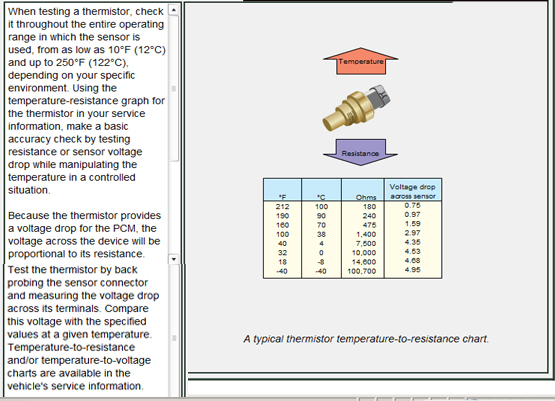 Hammertime already mentioned temperature sensors. What else is involved in the mixture adjustment process during very cold weather starts? ECM gets data from the air and coolant temp sensors and what else? Then the ECM adjusts the air valve, to add more or less air to the mixture? What else is the ECM doing in reaction to the incoming data? BTW - I don't have an air temp sensor. I have a mass air flow sensor that I replaced about 2 years ago. Some refresh on this for things already asked too: Does this crank at what you think is a normal speed at the temps when it has this "delayed" start? If not, that's an issue alone and testing stuff that works a minute later after it may have been started would likely be misleading. I don't expect it to crank exactly as it does on a warmer day or subsequent starts. You've said it can be perfect except for just those cold starts. To me it points to too much effort on the already weakened battery just because it's cold turning a cold engine as well voltage may drop lower than controls will work perfectly with so again I'd test out plain voltage drop while cranking. Many will crank, just too slow and voltages below about 9.5 is about a cut off # when 12v anything begins to be confused. It doesn't appear you have verified the temp sensor data yet as I suggested a long time ago. Thread getting long - sorry. As Hammer just pointed out as well you have to test things out that are on the possible list and these things are. Looked up and still could be wrong but this engine calls for 5-30 oil if temps below 64F but really shouldn't matter IMO. Actually with the miles you would think it would want that. Do what you want but I suggest synthetic name branded oil as most likely to be what it claims (I really wonder with some - printing lies on containers is easy) but most people get sticker shock at the costs. It doesn't cost more - it's less in wear and tear, lasts longer and about refuses to sludge up - win, win, win all around. Claims of better fuel economy are possible and IMO likely but more depends on many other factors. It's cold and is where I am too and no shock for this time of year! Admittedly it helps for a particular anything to know what to expect highly including cars of course. My house creaks, plastic snaps like egg shells and so on. If not used to some of this learn it and what you can do about it other than move. I want you to fix this and be done with it really!